Screen actors Jamie Dornan, Aidan Quinn and James Nesbitt were vying with Manchester City manager Pep Guardiola and racing legend AP McCoy at the Irish Open Pro Am golfing event today. 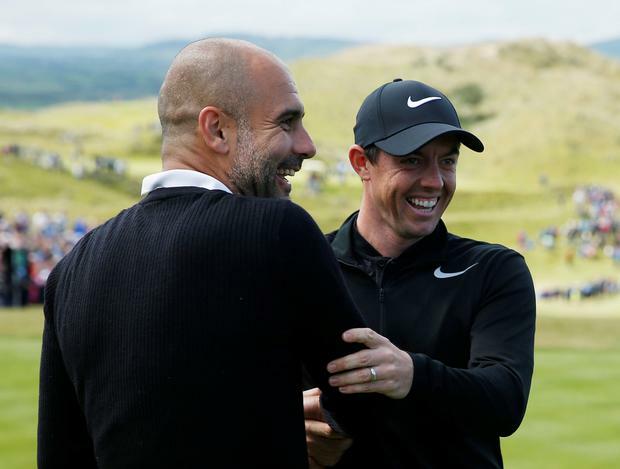 Guardiola got a big cheer from the crowd when he turned up to tee off at Portstewart Golf Club with local hero Rory McIlroy. The proceeds of today's event will go to McIlroy's charity The Rory Foundation which helps vulnerable children. 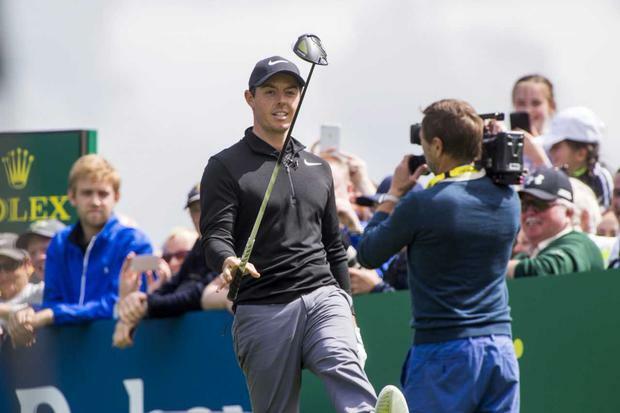 McIlroy repeated his pledge to journalists today that, if he successfully defends his Irish Open title later this week, he will donate the first prize of more than £870,000 sterling to the Foundation. Hollywood star Aidan Quinn admitted to feeling nervous as he prepared to tee off. He told Independent.ie "I'm very nervous. The last time I played I was behind Bill Murray and his brother and I watched them, on successive holes, hit spectators. So, if I can get through the round without hitting or injuring any spectators I'll be doing well." He said he has a handicap of 11 but he was not playing too well these days. He was glad to be assisting Rory McIlroy's children's charity, The Rory Foundation. "It's fantastic that Rory is using his time and energy and money and effort to take care of people that need help because he feels blessed and fortunate and that's the way the world should work," he said.